Our group class curriculum builds enthusiastic, safe and confident performance teams in a supportive, positive setting. Using games, structured exercises, and lots of laughter, together we'll explore the fascinating inter-species relationship that strengthens through training with our beloved canines. Instruction is focused on building competition level agility and sport dog skills in a fun, engaged environment, but there is no pressure placed on students to compete. Fostering safety, trust, confidence, clear communication and a caring relationship with our dogs is always the primary goal. For Beginner Performance students. Class focus is on engagement and attention skills in an on-leash setting and includes body awareness, targeting, tricks, Canine Good Citizen and Community Canine test elements, and more with distractions of various types and intensities. Class may be held in or out of doors depending on weather and day light. Prerequisites: Instructor Permission. This class is open to existing clients and dogs with no aggression or fear history towards dogs or people. Max enrollment: 4 dog-handler teams per class. For Intermediate/Advanced students. Class focus is on engagement and attention skills in an off-leash setting and includes heel work, stays, position changes, targeting, tricks, retrieves, and more with distractions of various types and intensities. Class may be held in or out of doors depending on weather and day light. Max enrollment: 5 dog-handler teams per class. 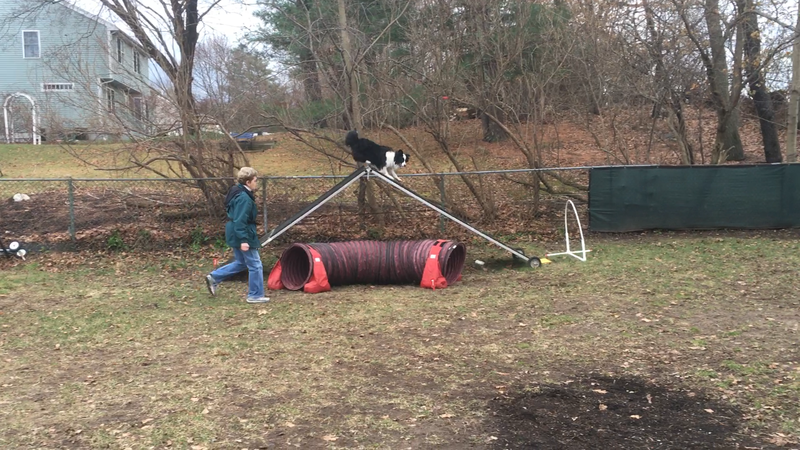 Once per year, we offer a 3 part Foundation Beginner Agility Group Class Program. Each 5 week course, taken in series, progressively gives new agility teams a solid foundation for safe, efficient, consistent and confident off leash agility performance. Prerequisites: Basic obedience skills (prior group class or private lesson instruction strongly encouraged) and dogs with no aggression or fear history towards dogs or people. Outdoor 5 week course building dog and handler understanding and confidence in jump, weave and contact obstacle skills. Progressively builds jumping mechanics, weave pole skills, and contact performance for dog walk, a-frame and teeter totter. Progressively build your agility team mastery of distance, discrimination, path, obstacle and other agility skills. Classes will also incorporate ring skills, attention and off leash skills with distractions. This is an outdoor, weather dependent class.